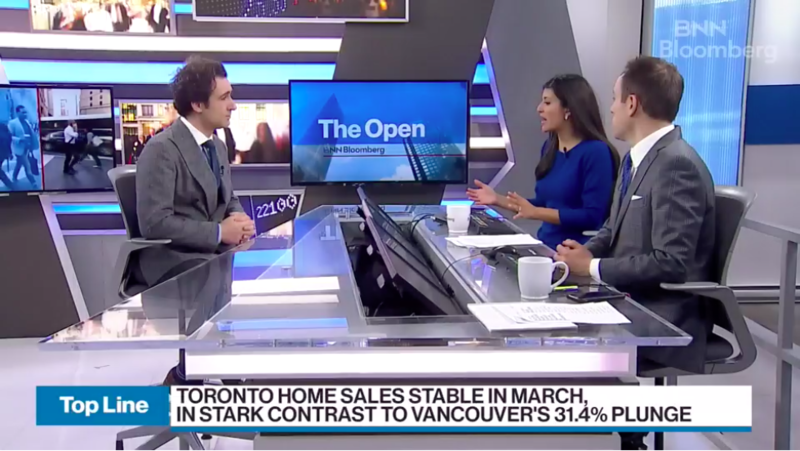 The Toronto Real Estate Board Market Watch report was released earlier this week and Realosophy's John Pasalis joined BNN Bloomberg's Amber Kanwar and Jon Erlichman to discuss what the numbers mean. Key topics included why Toronto's real estate market remains stable while the Vancouver market has plunged 31%, the impact of investment (both foreign and domestic) and banking policy changes (such as mortgage stress tests) and the sluggish recovery in the Greater Toronto Area's York Region. Realosophy Realty Inc. Brokerage is an innovative residential real estate brokerage in Toronto. A leader in real estate analytics, Realosophy educates consumers at Movesmartly.com and Realosophy.com, Realosophy helps clients make better decisions when buying or selling a home.